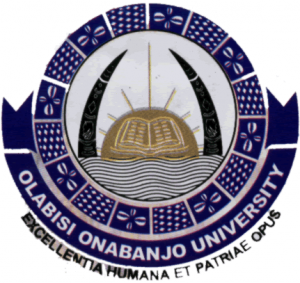 How To Request for OOU Transcript Online | The management of the Olabisi Onabanjo University (OOU) has introduced an online portal where its graduates can book for transcripts from anywhere in the world. The portal is called “OOU e-transcript”. The general public is hereby informed that Olabisi Onabanjo University (OOU), Ago Iwoye has introduced an online portal for transcript services with effect from 10th January, 2019. This new system will enable OOU graduates book for transcripts from anywhere in the world and also change the way our Institution communicate and exchange information globally. The OOU “e-transcript”, as it is branded, can be accessible on the university website https://etranscript.oouagoiwoye.edu.ng. Users are expected to create a profile with their matriculation numbers as well as email addresses after which they will be requested to supply details of the Institution or Organization to which they want the University to send the transcripts. With this new service, any graduate of OOU can get his/her transcripts through the transcript portal by applying online, pay using any of the payment options, receive status alerts on the request, and get a student copy of the transcripts.Hard copies will be couriered simultaneously,either Locally or Internationally without additional costs. I am using this medium to enjoin you to please take advantage of this technology-based platform. As usual with all new products,there may be some teething problems in the take off of this platform.I assure you however that our dedicated team of Professionals are online 24 hours of the day to receive your reports and comments and will attend to all issues raised promptly. On behalf of the University Management,I thank you all for your kind cooperation. How to Request for OOU Transcript. To make a transcript request, simply go to https://etranscript.oouagoiwoye.edu.ng and click on the ‘Continue’ button above. Fill in your details accurately as required on the form. Please note that it is necessary to provide a valid email address while filling your biodata form. This will be used by the portal to send you status alerts of your application. The cost of Local Transcript Delivery is ₦ 8,000.00 while the cost of International Transcript Delivery is ₦ 50,000.00. In addition ₦ 1, 000.00 administrative fee will be charged annually. You are expected to provide shipping details about the transcript you are requesting as follows: The name of the Institution or Organization that the transcript is to be sent to as well as its full address including email address and City, State, ZIP/Postcode (for foreign addresses) and Country. Please note that the address you enter is the address that the courier will deliver your transcript to, therefore ensure that you are as detailed and accurate as possible. After you have chosen your card-payment option, enter your card details as directed by portal and make your payment. (You can pay with any ATM card you have (VISA, INTERSWITCH or MASTERCARD) as long as that card has been enabled for web transactions. Please confirm from your bank that your card is enabled for web transactions). After successful payment, you may wish to print your payment receipt.